Over the last couple of years I have stayed away from just about every kind of drink except plain old boring water or non-decaf herbal teas. I drank no alcohol, pop, coffee or even juice due to a yeast overgrowth in my digestive system. I'm happy to report that is under control and I am now able to eat/drink fruits again but pop will probably never be back in my diet. I am trying to be more careful with what I eat and drink by avoiding processed foods and eating and drinking organic as much as possible. 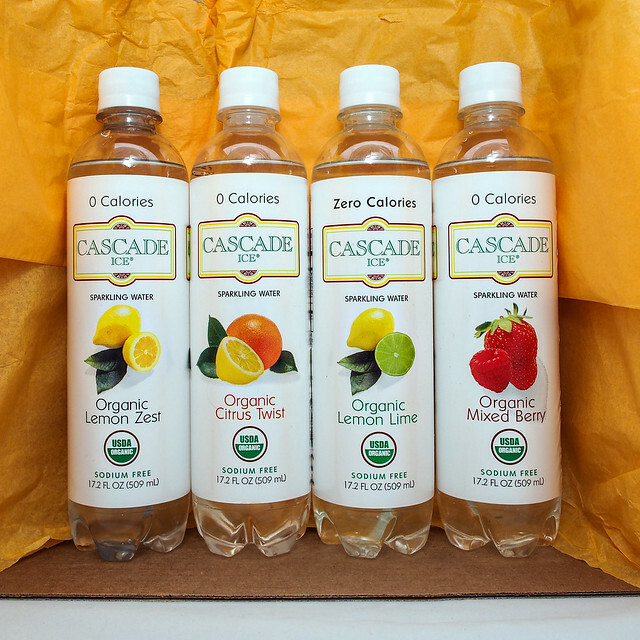 The International Food Blogger Conference (IFBC) came along where I got to try all kinds of awesome food and beverages and that's where I was introduced to Cascade Ice's sparkling waters. I had never tried them before the conference and I'm not sure why. It's much better than the plain water I've been drinking for so long. They are up to 31 different flavors and have some new additions: strawberry banana, coconut mango, coconut pineapple and for a limited time, pumpkin spice. I got to try the pumpkin spice at the conference and it seems like a weird flavor for water but it really does taste like pumpkin and is perfect for this time of year. 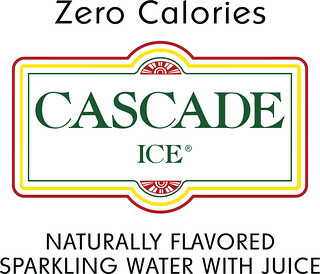 The best thing about Cascade Ice water is that they are sugar free, caffeine free, sodium free, gluten free and have zero calories so they are guilt free! My favorite is their organic selection which comes in four flavors: lemon zest, citrus twist, lemon lime and mixed berry. They sent me a sampling of all four to try and I've been enjoying each one. They're much more fulfilling than the plain water I've been drinking for so long and the bubbly almost makes it feel like I'm drinking pop but without all of the sugar. You can find their waters on Amazon and just about any convenience or grocery store. Rules: Giveaway ends November 13th at 12am and is open to the US only. How To Enter: Enter using the contest form below. Once the mandatory entry has been done, 5 more options to enter will be displayed. Disclaimer: This giveaway is sponsored by Cascade Ice and they are responsible for prize fulfillment. Cascade Ice provided me with a free sample of this product to review. The views expressed in this blog post are my own and I was not under any obligation to write a positive review. Winner will be contacted by email within 48 hours after the giveaway ends. organic mixed berry - yum! Coconut pineapple sounds good to me. I love Cascade Ice! The Lemon Zest sounds good! I'd love to try the Mixed Berry one! love huckleberry blackberry and wild berry! I'd love to try the Mixed Berry!